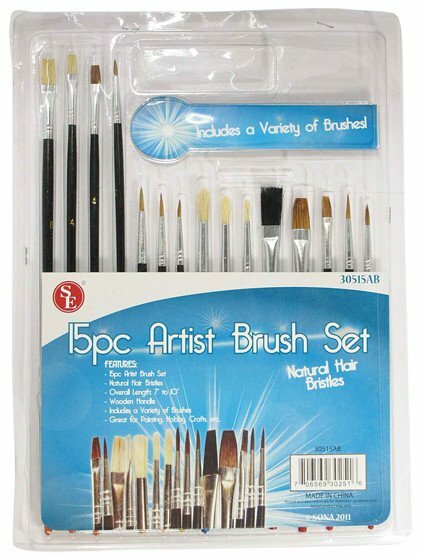 This 15 piece Artist Brush Assortment is made from natural sable and boar hair bristles. 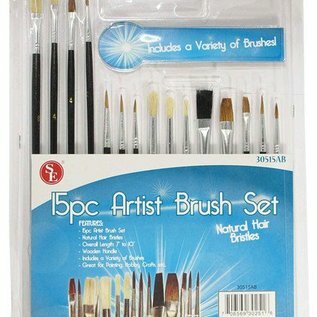 Great for arts and crafts as well as face painting and make-up application. Set includes an assortment of various length paintbrushes with round and flat brush tips. 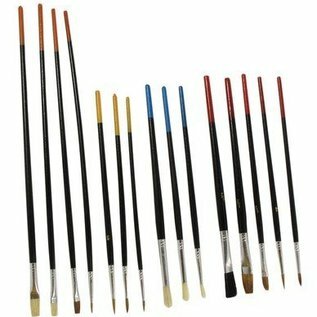 These are a high quaility and inexpensive alternatives compared to the other make-up brushes we sell. 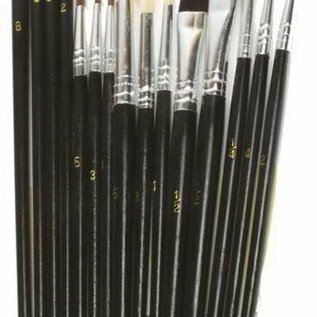 This entire set costs less than what we sell many single brushes for.